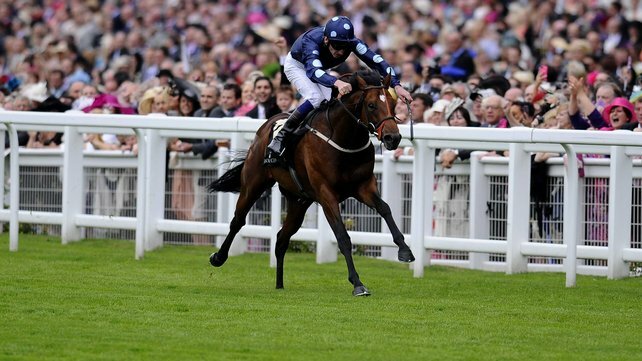 Royal Ascot is just about the creme de la creme of British flat racing with other meetings such as Newmarket's Champions Day offering up some top class racing but not being able to match the quantity & quality of Ascot's racing year after year. With the usual reasonable selection of international challengers 2013 looks likely to throw up some great races & give a good indication of just how good some of the home trained stars really are. 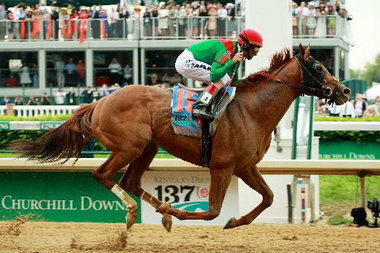 Kicking off the meeting are three Group Ones in a row & the first race may well see the best horse the meeting has to offer as it features US challenger Animal Kingdom, the 2011 Kentucky Derby winner & this year's convincing Dubai World Cup winner. This really doesn't have to be a long preview to convince anyone that Animal Kingdom is the beast to back, last year was a difficult one with training difficulties meaning trainer Graham Motion could get just 2 runs under the horses belt; one in February & then much later in the year with a very creditable 2nd in the always high class Breeders' Cup Mile where top European miler Excelebration was in behind. Animal Kingdom hasn't ever won at a distance as short as a mile & that is a slight concern but lack of pace isn't a problem as evidenced when tearing up the final half mile of the Kentucky Derby in a time only bettered by all-time great Secretariat. Far less of a concern to Animal Kingdom backers are his rivals here with maybe only a couple of the other challengers looking like genuine Group One contenders. Elusive Kate certainly deserves her place in the lineup & John Gosden's filly is twice a winner at the top level already as well as being placed at Group One level another 4 times & she is an extremely solid each way bet especially if the favourite were to underperform. Other than Elusive Kate we like the look of the progressive older horse Trade Storm; a horse that really flourished in Dubai this winter & ended up starting favourite for the Dubai Duty Free on World Cup night. David Simcock's 5 year old makes more appeal than Aidan O'Brien's Declaration Of War, that one started a ludicrously priced 5/4 favourite for the Lockinge in early May after Group 3 & Listed race wins against mediocre (for the grade) opposition, & was promptly swept aside & finished a well back 5th. At Evens it's well worth siding with Animal Kingdom to show its class & win here & add his name to an illustrious roll of honour that inlcudes, over the past 3 years: Paco Boy; Canford Cliffs; Goldikova & Frankel. Comfortable on all surfaces & able to run well without too much racing he's by far the best horse in the race on form & that's borne out by the fact he's 10 pounds clear on official ratings - get on! As one of the 10 races in the Global Sprint Challenge the King's Stand & has seen numerous international challengers take the prize (6 times in the last 8 runnings) & that helps explain why South African raider Shea Shea is a warm favourite to win here. Shea Shea was certainly impressive in Dubai last time out, taking the Al Quoz Sprint & setting a track record in the process but two races before that didn't run his race at all & finihsed 7th to one of today's rivals Medicean Man. We like Medicean Man a lot but he's probably not a true Group One horse & it may be that Shea Shea just needed the run there, he's been off the track now for nearly 3 months & if he thrives with racing this might be a little too competitive to trust his fitness at short odds. The selection for us has to be Reckless Abandon who was challenging up with Dawn Approach as the most exciting & impressive juvenile of 2012 with 5 wins from 5 starts & two Group 2's & two Group One's in the mix. Chucked in at the deep end against older horses on his first start this season Clive Cox's 3 year old ran a fine race in defeat in Haydock's Group 2 Temple Stakes, he raced on the unfavoured side of the track there & had a Group One penalty to contend with yet finished just a neck & a head behind the winner when claiming 3rd. With a run just about 4 weeks ago under his belt Reckless Abandon should be spot on for this, 5 furlongs looks the horse's ideal distance (we think) & odds of 5/1 even allow each way betting for the timid amongst us - we think a win bet will suffice though & a small forecast with the impressive last time out Spirit Quartz could be a fun bet too.